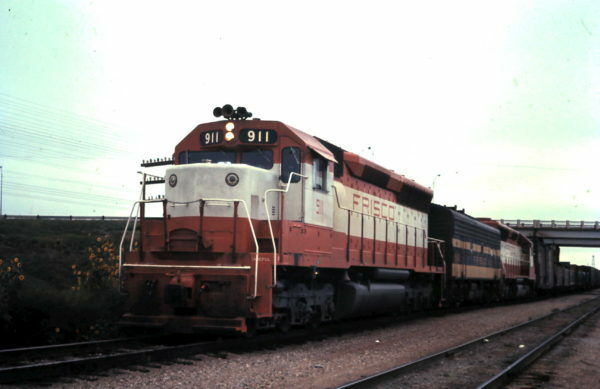 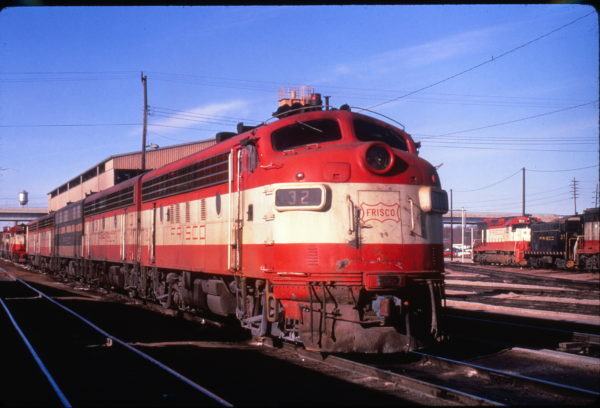 SD45 911 in the UP Yard at Cheyenne, Wyoming in September 1975. 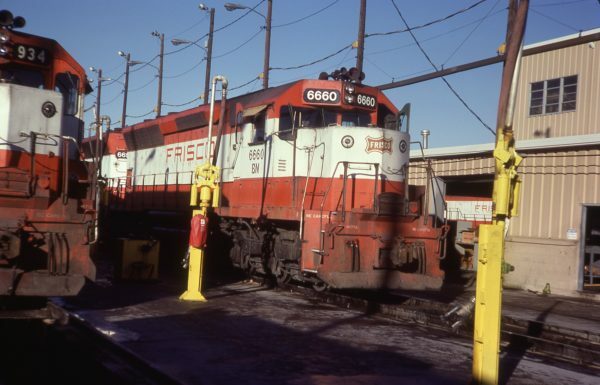 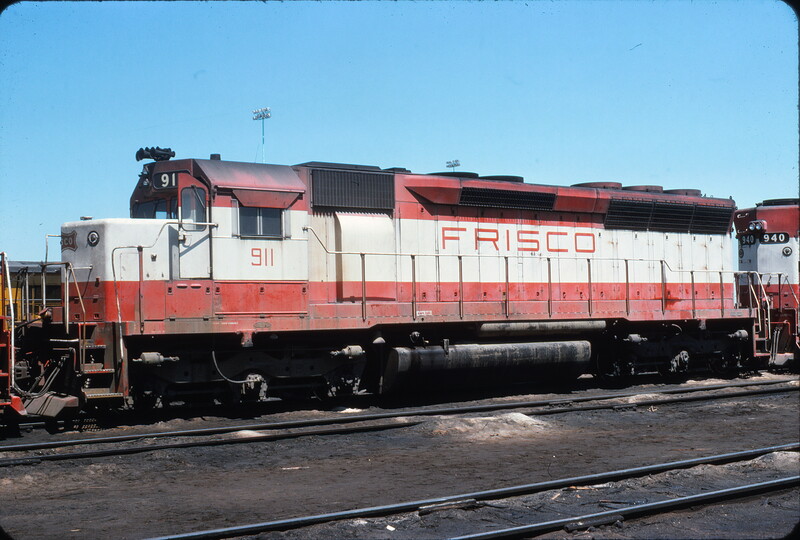 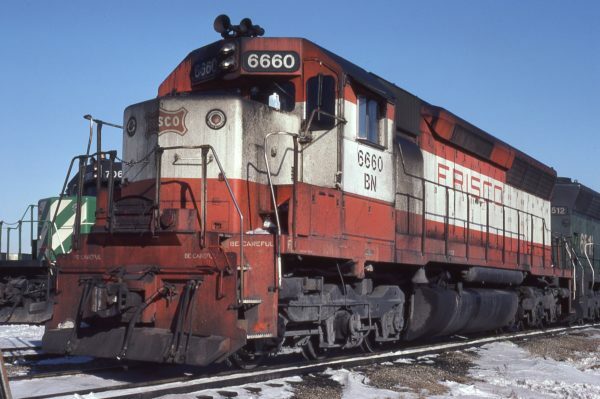 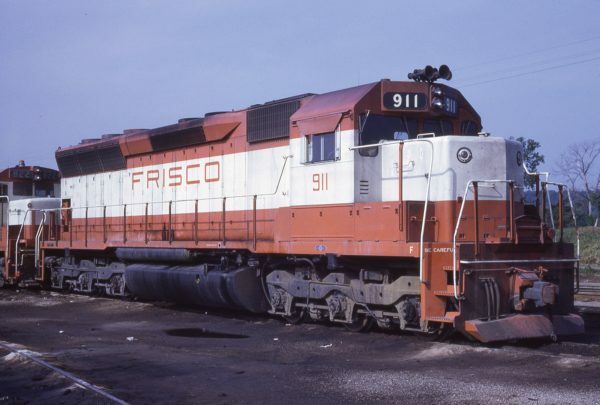 SD45 6660 (Frisco 911) at Tulsa, Oklahoma in December 1981. SD45 911 at Sapulpa, OK (date unknown). 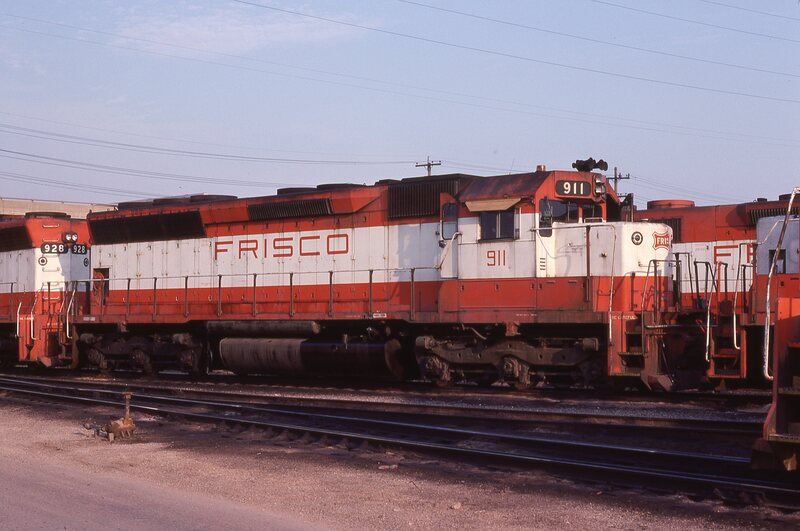 Sapulpa Ok, southbound just crossed under I-44, oil derrick in the background. 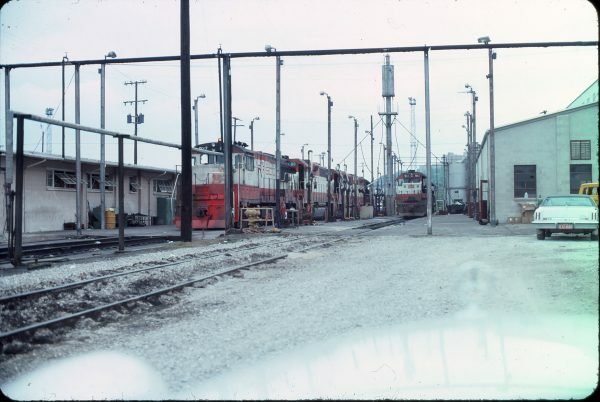 Special thanks to Paul Slavens. SD45 911 at Springfield, Missouri in July 1978 (R. Durfee). SD45 911 at Tulsa, Oklahoma on June 5, 1969 (J.B. Gwinn). 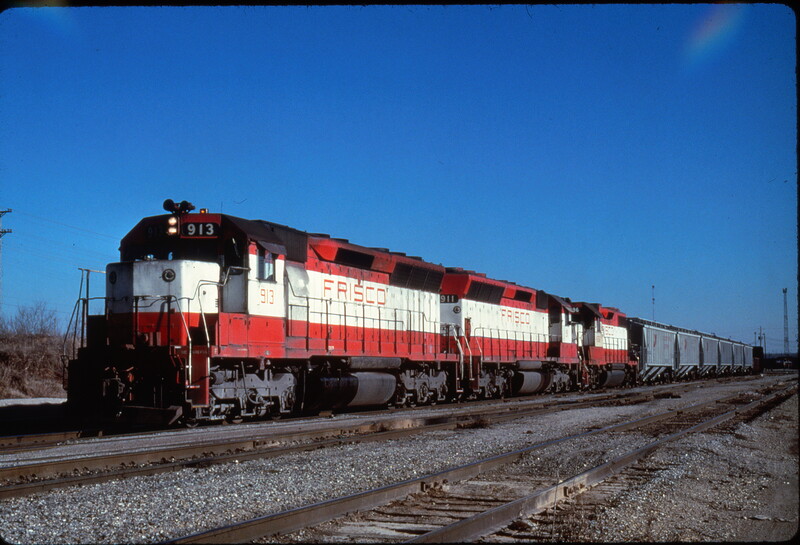 SD45s 913 and 911 lead a freight at Memphis, Tennessee on December 7, 1979. SD45 6660 (Frisco 911) at Kansas City, Missouri on February 13, 1981 (Jerry Bosanek).